After launching on Friday 6th September, the Fashion Meets Music pop-up is now open to the public in Westfield’s Stratford City showcasing emerging designers, entrepreneurs, artists and creative individuals. Fashion Meets Music is a not for profit organisation, that gives emerging talent a platform to excel via shows, pop up’s and workshops. Following the success of their Camden Pop Up, Westfield Stratford is now housing the innovative shop combining retail, runway shows and performances on their in-store runway and various music and fashion related workshops. 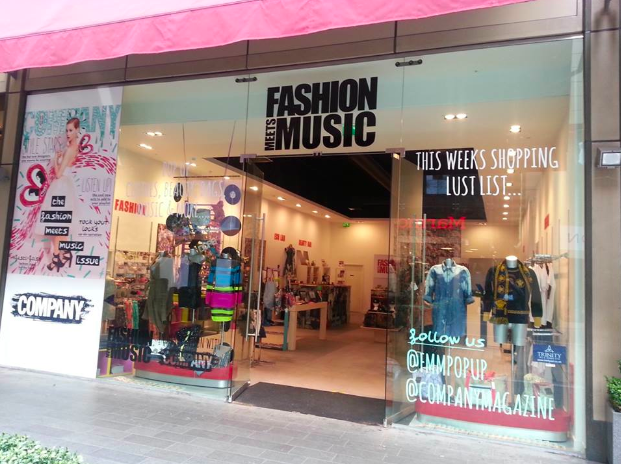 Company Magazine have teamed up with Fashion Meets Music for their Magazine themed store; and for the next 5 weeks, as well as being able to purchase one-of-a-kind buys from talented emerging talent, there will be mini trunk shows, performances, beauty evenings and workshops including Radio/Djing, Jewellery making, Fashion Construction and Music showcases in front of industry panels and more. All fashion shows and workshops are FREE and open to the public. 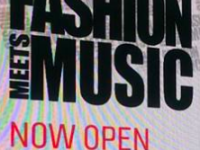 So have a look at the free events below and if you need further info visit Fashion Meets Music ‘s website. Where: Fashion Meets Music Pop Up Shop at Westfield Stratford City, E20 1EJ – The shop is allocated on The Street, several doors from Celeb Boutique and New Era.